This is your community and your home. It’s important that you get the right house for you. 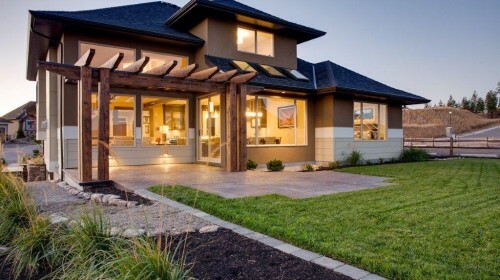 McKinley Beach offers the most experienced and proven builders the Okanagan has to offer. Each offers a quality house you can call home. Each offers an undeniable value. But, like the community that brought them together, each is a little different. Keep reading to find the builder that’s right for you. For the past three generations, custom home building has been in the family. 3rd Generation Homes is locally owned and operated in Kelowna, BC. Since the 1930’s, building has been a way of life for the family behind the business. The current stewards of 3rd Generation Homes are as invested in their businesses’ future as they are in the community that helped it flourish. Gerald and Cassidy are both products of their Kelowna upbringing, and both are proud of the personal touch this produces. When you build a life in the same community you work in, you go a little further to ensure every detail is taken care of. AuthenTech Homes have been building award-winning homes since 1991. AuthenTech Homes has distinguished themselves as a high-quality builder with a sterling reputation. The unique natural environment of the Okanagan provides a great opportunity to merge quality building with the quality of life in the region. 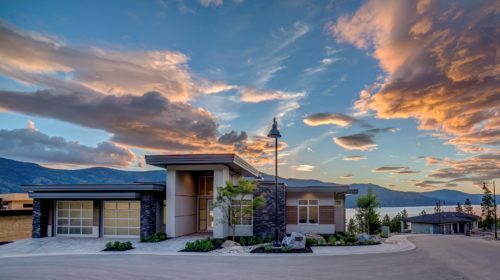 This has lead to AuthenTech Homes working on some of the most notable projects in the Okanagan, including high-end dream homes for local residents and those looking to relocate. Regardless of the project, their commitment to quality holds strong. AuthenTech Homes believes building your dream home should be a rewarding and exciting experience. They are committed is to providing quality custom homes that are reflective of your individuality, and their principles of honesty, integrity and professionalism. 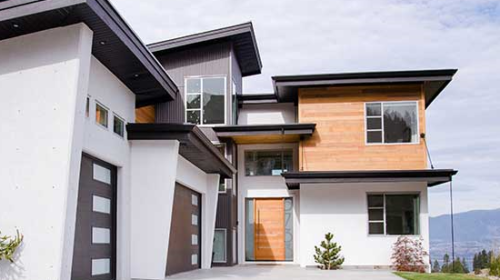 Award-winning builder Rykon Construction has been planning, developing and building custom homes and properties of distinction in British Columbia since 1984. Rykon strives to help clients realize their dreams for custom-built homes. Their approach to construction is a little different than most. Rykon intends to exceed your expectations through every stage of your project, from contract to final inspection. Clear communication with clients helps them accomplish this, as does their commitment to relieving the stress home construction can create. All of this is in service to making sure you get to focus on creating —and enjoying — your custom-designed home. Rykon Construction is the proud builder of exceptional lifestyle communities and some of the finest custom homes in the Okanagan real estate market. 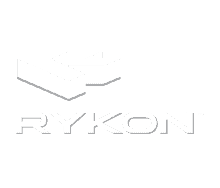 When it’s time to build your dream, consider Rykon Construction. McKinley Beach is a waterfront community based on a vision of harmony between the site’s natural beauty, the construction of lake view real estate, and the community amenities. To achieve this balance, McKinley Beach has created a framework of design guidelines and a design approval process for homeowners, builders, and landscape designers. We encourage the architectural character at McKinley Beach to focus on site- and climate-appropriate expression while incorporating massing and architectural elements. The design guidelines aim to support McKinley Beach’s vision by encouraging home designs that are complementary to the landscape and natural features. Home designs and construction are required to be responsive to each lot characteristic and to preserve natural features, including established trees and fauna whenever reasonably possible. McKinley Beach is a waterfront community with incredible vistas of Okanagan Lake. Therefore, optimization of potential view corridors through low-scale, horizontal building massing integrated into the landscape is paramount.